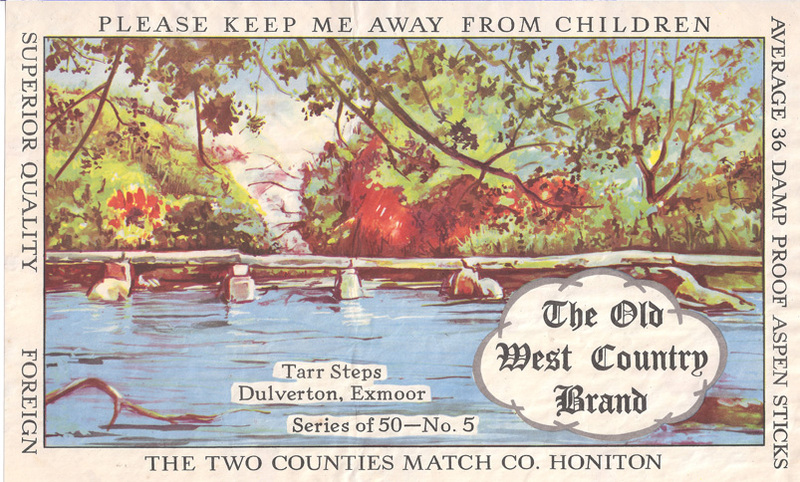 Tarr Steps is an illustration of the medieval stone clapper bridge across the River Barle in the Exmoor National Park, Somerset, England. 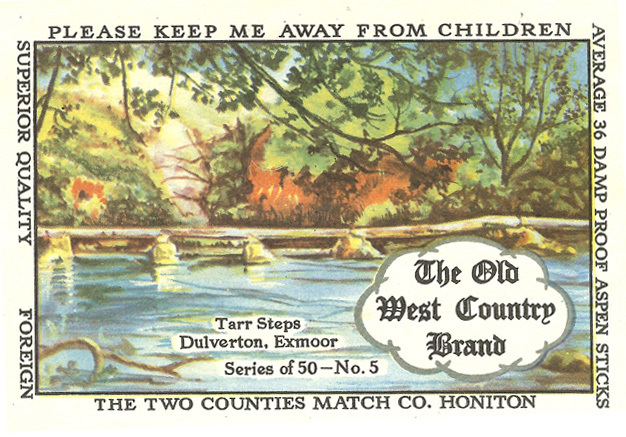 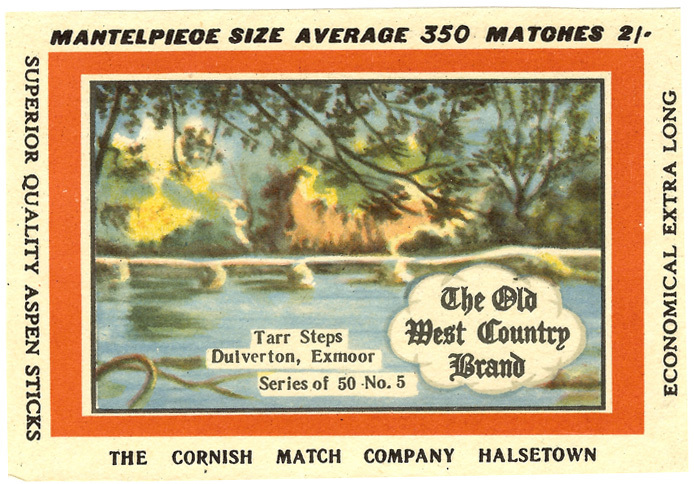 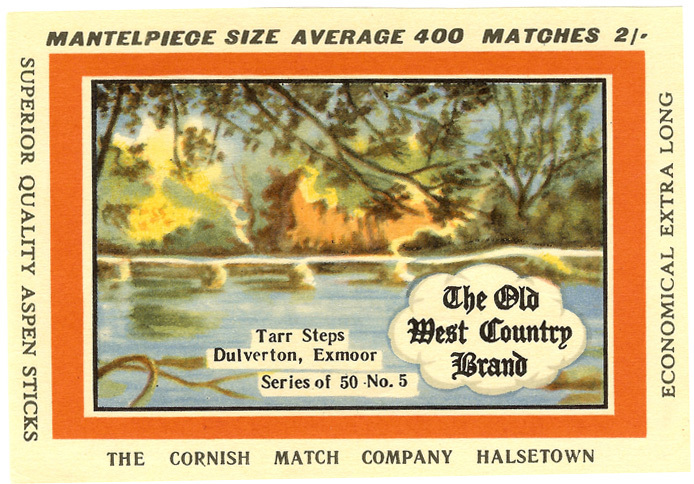 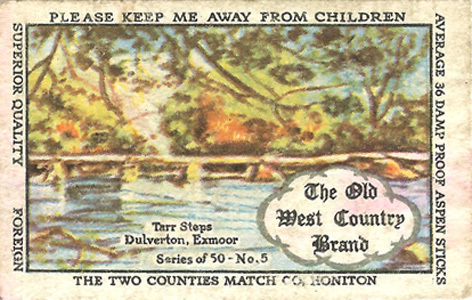 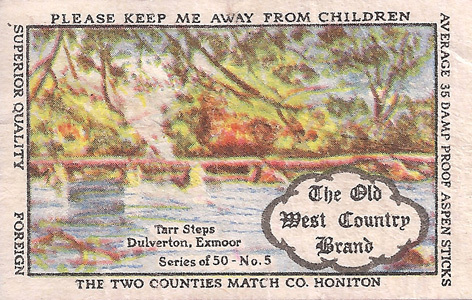 Although the label says Dulverton the steps are actually 4 miles north west of the village. 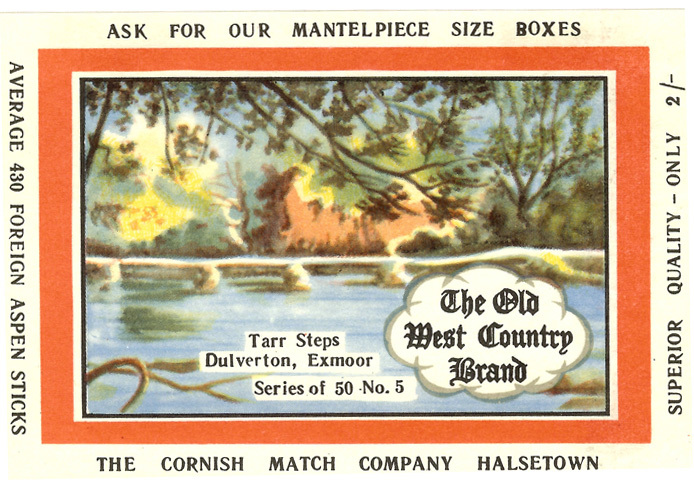 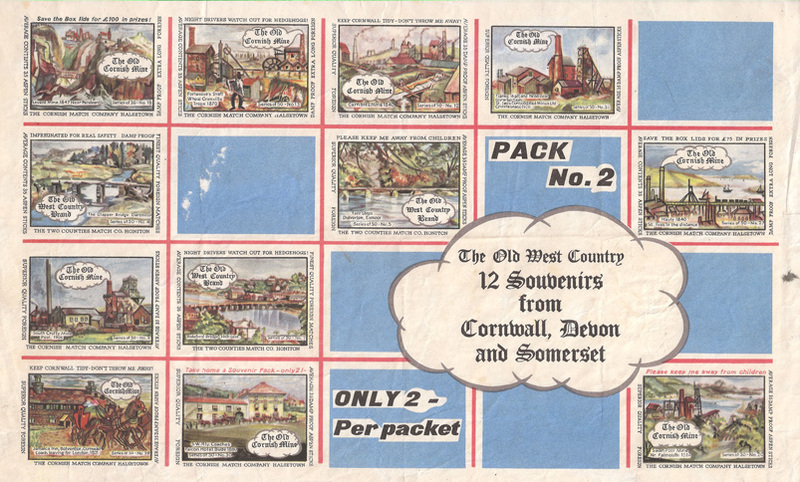 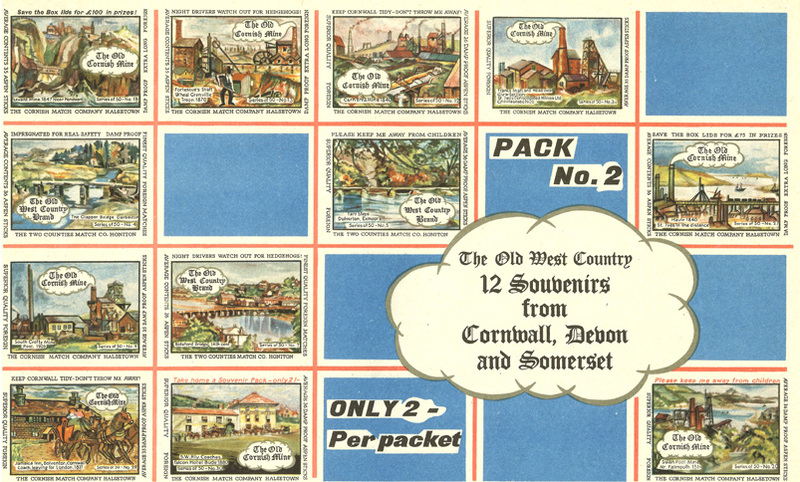 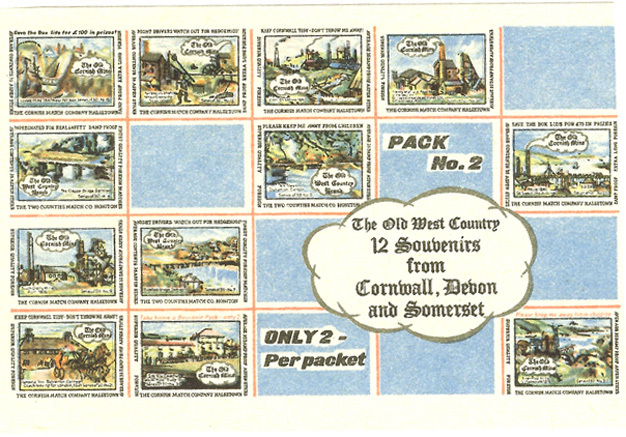 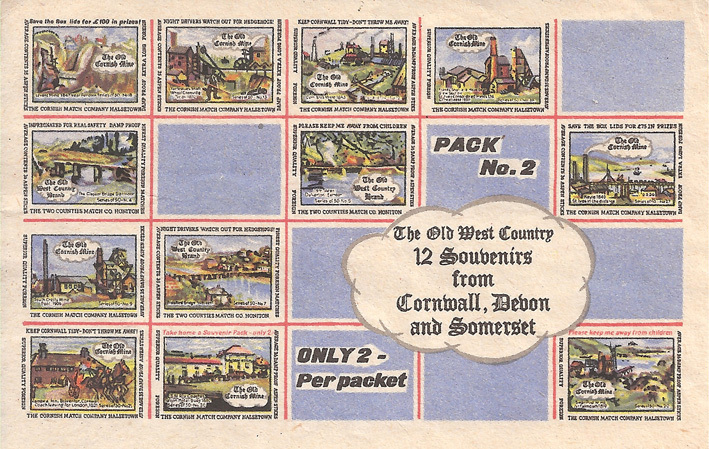 The illustration appeared on 7 individual labels and 4 souvenir labels.